Fat Quarter Shop's Jolly Jabber: Sew Sampler July 2016 Box Reveal! Sew Sampler July 2016 Box Reveal! Welcome back! It's time to announce the contents of the July Sew Sampler Subscription Box! We are really enjoying the summer so we thought we'd share a box full of items that make us think about summertime. So let's make a splash and get to the big reveal! There is nothing better than enjoying the outdoors in the summertime. So this month's box theme is "Summer Picnic." Pour your glass of lemonade and let's dig into this box. Dive into these bold, floral prints and fresh colors. Perfect for both traditional and modern quilters. Experience precision with pizzazz! 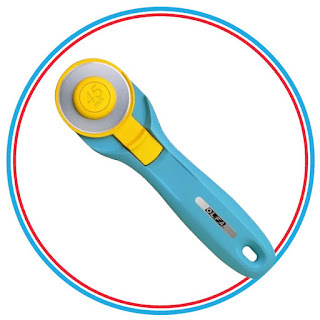 This vibrant aqua handle is contoured for comfortable cutting and the integrated grooves at the head of the cutter help prevent slipping. Includes one 45mm rotary blade. 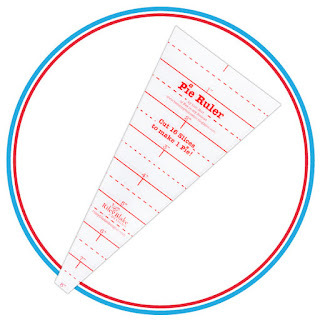 This pie ruler is the perfect tool for cutting 16 slices to make one pie, a must-have for a picnic! Check out our FREE Lemon Pie YouTube tutorial here! 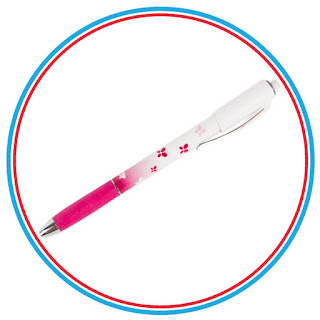 This pencil has specially formulated ceramic lead that makes clean, fine lines on fabrics. Marks are easily removed from most fabrics with the eraser or by dabbing with a damp cloth. Bright colors light up this sky of sizzling stars! 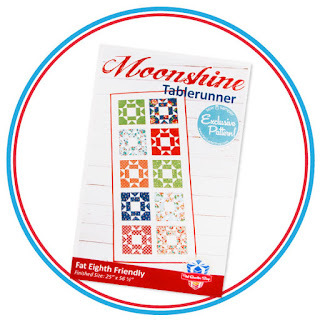 Simple and satisfying, this tablerunner leaves ample time to enjoy your summer. Perfect companion for your Dixie Fat Eighth bundle! Finished size: 25" x 56 1/2"
This item was created specifically for this Sew Sampler box and is not available for purchase. 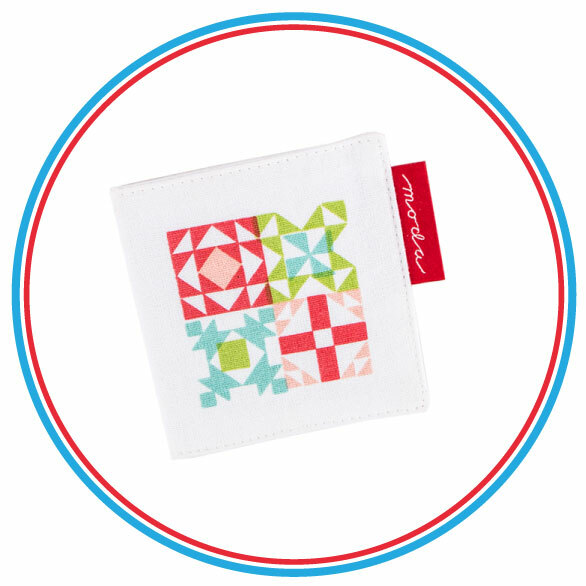 Keep all your needles safe and secure in one stylish place. That's not all - we also included our next block recipe! 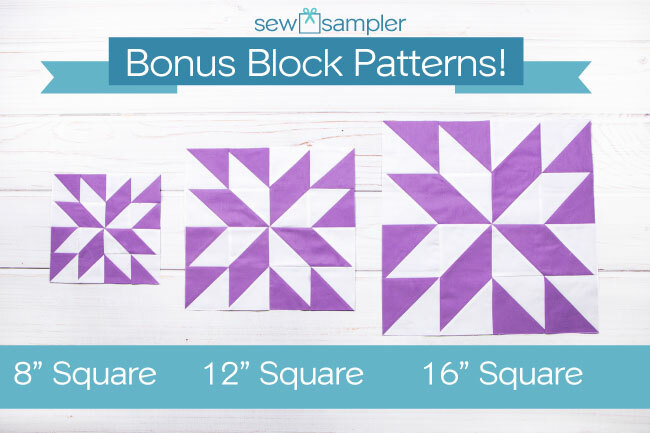 This pattern will give you cutting and piecing instructions to make an 8", 12" and 16" block. This month we have featured Bella Solids Sugar Plum! 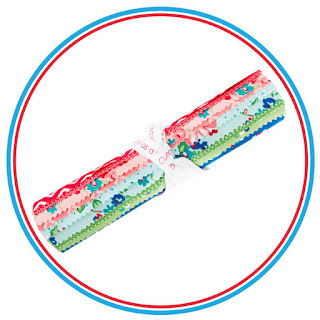 What did you think about the July box? Comment below to let us know, and be sure to share your box reveals with us by using #SewSampler.